If you spent 2017 umming and ahhing over whether to make that leap of faith to Irish property ownership, can we convince you with these ten great reasons to make the life change you’ve been dreaming of? – As long as you make the move to Ireland before the UK finally exits Europe, which is expected to happen in March 2019, you will have the same rights as people do now. Whether you’re a worker, student or retiree, your right to free or subsidised healthcare, social security, education, employment and running a business, will remain intact as long as you live in Ireland. It will be illegal for others to discriminate against you. – Your family members will be entitled to join you in Ireland for the course of your lifetime. This includes parents, grandparents, spouses, children and grandchildren. 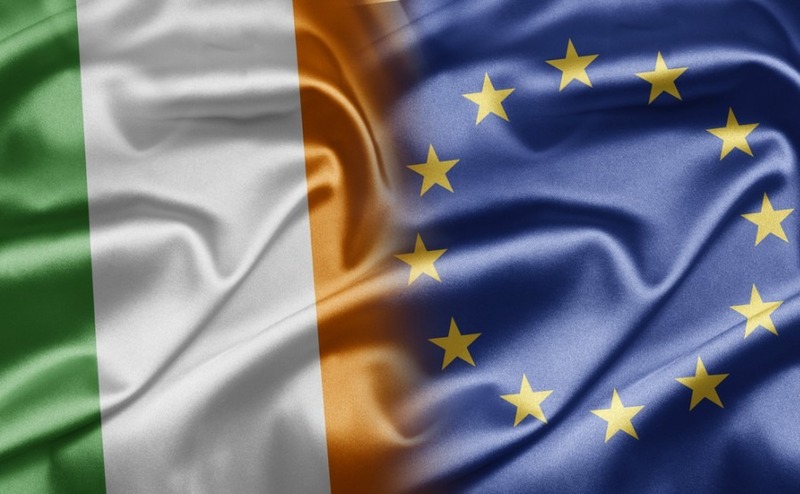 – The process of claiming residency in Ireland (and all EU countries) will remain free and simple, and EU countries will be obliged to be ‘flexible’ when assessing the evidence supporting your bid for residency. – It will be possible for you to leave Ireland (or any EU country) for up to five years and then move back without losing your EU rights. Your right to free or subsidised healthcare, social security, education, employment and running a business, will remain intact as long as you live in Ireland. Although the outlook looks positive for Britons living in Europe, it remains to be seen whether any unexpected restrictions will be brought in at the last minute. It is also unknown, yet, whether you’ll be restricted to remaining within Ireland, or whether you’ll be able to move between EU states while retaining the same rights. We will keep you updated as and when any important developments are announced. If you’re looking for a change of career or a new challenge, Ireland’s employment market is experiencing exciting growth right now. Following the referendum, some international corporations across all industries, but largely tech, finance and pharmaceuticals, are either already making the move or considering relocating their European headquarters to Ireland. Back in August 2017, 59 out of the 222 biggest financial companies in the UK revealed they were looking to move to the EU due to Brexit. Dublin was by far the top choice, mostly due to its proximity to the UK, being an English-speaking nation and its low corporation tax. Kieran Donoghue, Head of International Financial Services at Ireland’s Industrial Development Authority, predicted that around a dozen banks will ultimately make the move to Ireland, each of which is likely to hire anywhere from 10 to 500 employees. Tech companies-wise, you have all the major players already: Facebook, Twitter, Apple, Intel, Dell, Microsoft, Amazon, PayPal – the list goes on. If you have the right skills, job opportunities won’t be hard to find. Your morning constitutional, in Ireland. What Ireland lacks in size it more than makes up for in beauty. 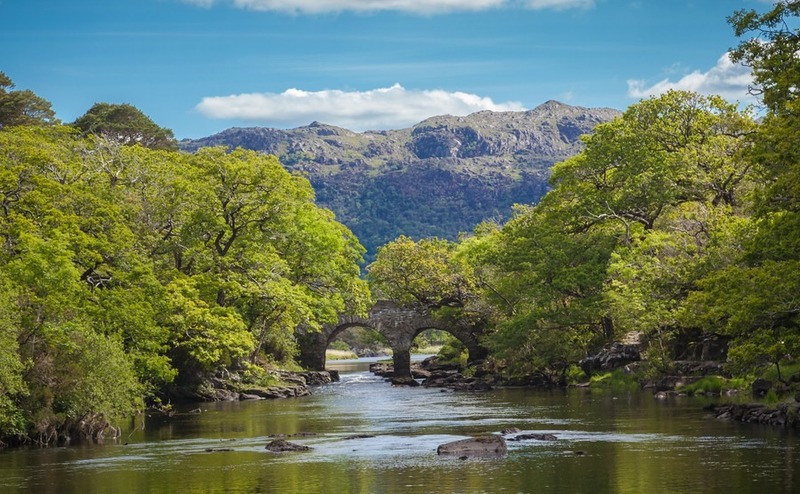 If you’re guilty of requiring a little extra persuasion to remove yourself from the sofa, Ireland’s stunning scenery is sure to reinvigorate your love of getting out and about. The country’s size and excellent road network mean you can head almost anywhere for a weekend, or even for a day trip. There are National Parks, world-famous hiking trails like the Wicklow Way, The Kerry Way and The Wild Atlantic Way (among hundreds of others). No matter what city or town, there will be a number of hiking trails to explore without having to venture too far. The country’s temperate climate is also perfect for year-round hiking. With landscapes this awe-inspiring, you won’t be able to help yourself lacing up those boots and getting out into the fresh air. 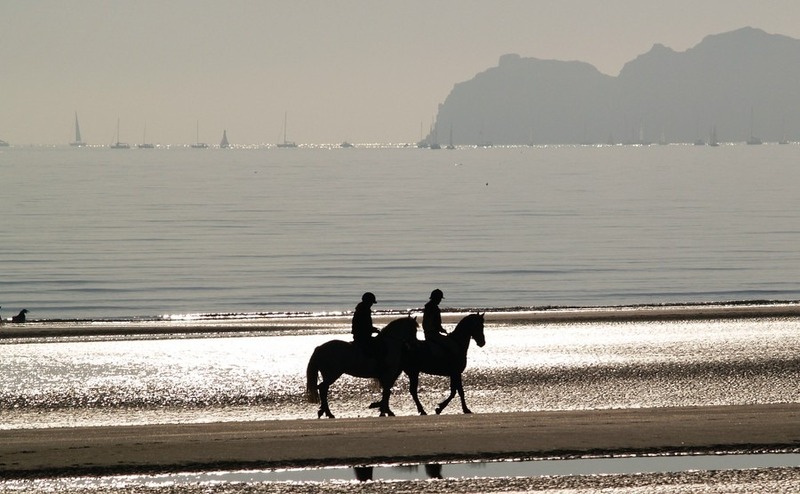 No need to do all the work yourself, Ireland’s love of horses is legendary so if you fancy a gallop on an empty beach, this is your chance. Should walking or riding not be adrenaline-inducing enough for you, you could try your hand at surfing. Ireland is one of the best surfing spots in Europe – stick a wetsuit on and you could be in Malibu instead of the Atlantic Ocean! If you like your water sports a little more gentle, Ireland’s angling is unbeatable. For investors, property in Ireland is getting great returns right now. In 2017, Ireland had one of the highest rental yields for buy-to-let property in all of Europe at 7%, up from 6.5% in 2016. In contrast, rental yields in the UK fell from 4.9% to 4% in the same period, making them amongst the worst in Europe. The average monthly rent for an apartment in Dublin currently stands at around €1,700 but avoid central Dublin and rents come down considerably. In Cork it is €1,100, in Galway it is under €1,000 and in Waterford just €757. Rents are rising though, as are property prices, so buying does make sense if possible. 5 – Events, events, events! The Irish love a get together over great food, booze and live music and this means the country’s events calendar is chock-a-block with fun events to attend all year round. You can enjoy food, music, literary and arts festivals every month and in all corners of the country. Attending these events is an excellent way to discover new towns and villages, to sample the best of Irish culture, and to make a few friends along the way. There are multiple food festivals every month. Highlights include the Connemara Mussel Festival, Bloom in the Park, Dalkey Lobster Festival and Galway International Oyster and Seafood Festival. Music festivals happen with similar regularity and cater to all tastes – folk, jazz, rock, electronica. Popular choices for music lovers include The Cork Jazz Festival, the Electric Picnic, or the Fleadh Cheoil, which is the world’s largest annual celebration of Irish music and which happens in a different location each year. If literary festivals are more your cup of tea you can check out Cork Spring Poetry Festival, Limerick Literary Festival or Mountains to Sea – all of which attract great names. Comedy lovers will love the Cat Laughs Comedy Festival in Kilkenny City. This is the fastest GDP growth in all of Europe and Ireland’s unemployment rate of 6% is well below the EU average of 8.9%. Ireland’s economy just keeps going from strength-to-strength – GDP growth was 4.8% in 2017 and is forecast to be around 4% in 2018. This is the fastest GDP growth in all of Europe and Ireland’s unemployment rate of 6% is well below the EU average of 8.9%. Growing employment and wages teamed with (relatively minor) tax cuts and a weak consumer price index inflation are boosting income and driving the country’s domestic economy. All good news for those wanting a slice of the action. 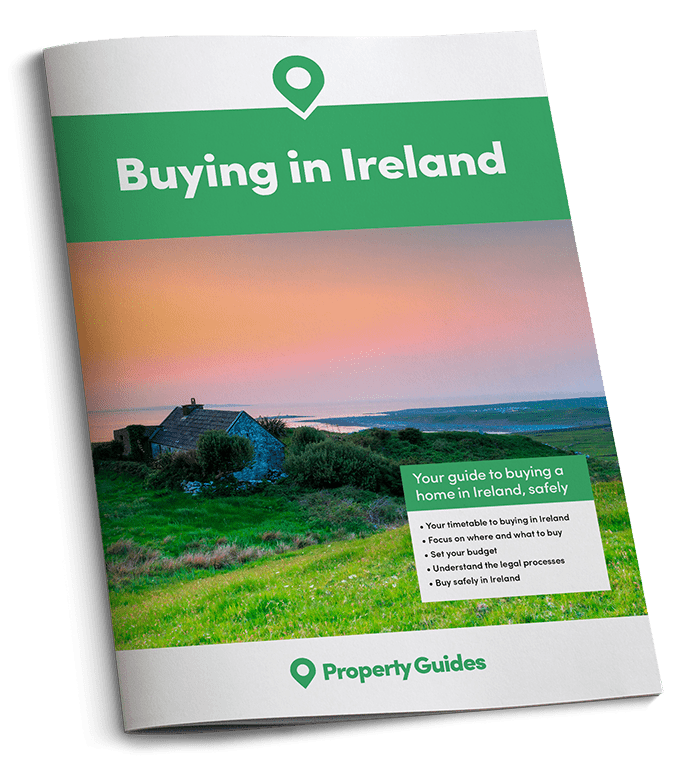 If you’re on a budget and don’t need to be in a particular location for work, there are some serious property bargains to be found in Ireland. The cheapest properties can be found in County Roscommon, where the average property price tag is expected to hit €102,000 (£90,430) in 2018 and in County Longford where the average property will set you back an average of €117,000. Sligo, Roscommon and Mayo are all affordable options, and if it’s land you’re after it’s easy to find property that comes with ample space for livestock. The property in the picture dates from 1780, has seven bedroom, two acres of land, sea views and outbuildings to renovate. 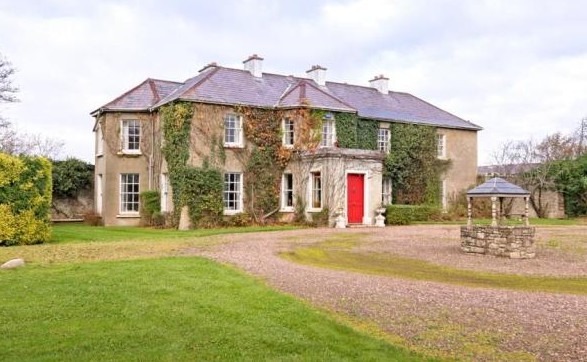 All that for an asking price of just €250,000! The golf is so fantastic in Ireland that fanatics from around the world congregate here to play its famous fairways. Over €540 million is spent annually on golf in Ireland, and around 385,000 adults play golf at least once a year. Walk in the footsteps of Rory McIllroy, Graeme McDowell and Paul McGinley at some of the world’s most renowned golf courses, and pray that some of their talent rubs off on you. Golf lovers are completely spoilt for choice, with brilliantly designed and maintained courses in every county. In Dublin, you have Stackstown, The Grange and The Royal Dublin Golf Club. There’s the European Club in County Wicklow and Portmarnock, which has hosted dozens of Irish Opens. Ireland’s countryside also provides the perfect backdrop to an 18-hole round – and you just know the 19th hole is guaranteed to be a raucous affair! Ireland is green, surrounded by ocean and there’s plenty of rain – a combination that ensures Ireland’s fare is some of the best in the world. No surprise that Irish dairy and meat produce is world renowned, and the number of fishing villages lining Ireland’s coastline means that if you’re in the market for a fish supper you’re guaranteed a fresh, reasonably priced catch of the day. There are plenty of traditional Irish dishes to try: Irish stew, colcannon, boxty, coddle and bacon and cabbage are some of the most-loved; perfect comfort foods for those chillier Irish days. For fine dining, Ireland has dozens of Michelin-starred and “Bib Gourmand” restaurants in 2018, many of them brand new, offering “exceptionally good food at moderate prices”. You won’t have any trouble finding somewhere to enjoy the “craic” in Ireland. 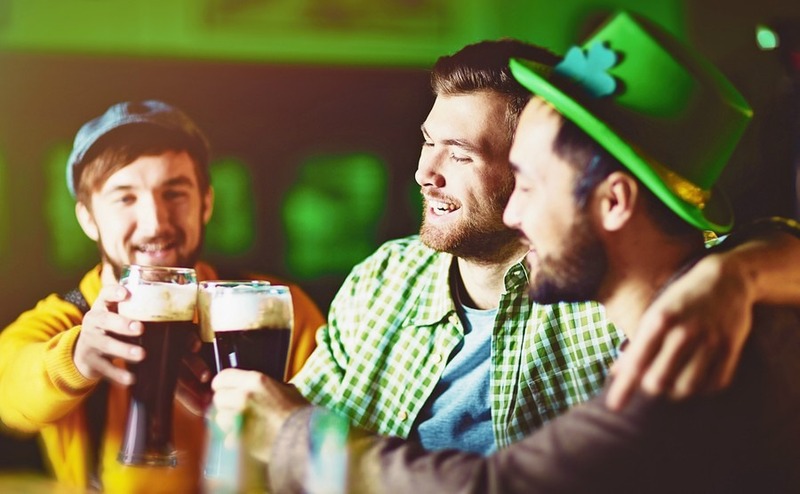 The Irish take having fun so seriously that they even have a word for it – the ‘craic’. If you’re craving more laughter in your life, this is your place. The Irish are known for their humour and good will. No matter where you are, you’ll be able to enjoy the ‘craic’ no matter the day of the week.